Although I wasn't running in any of the races this weekend, that didn't stop me from attending the #WeRunSocial Meet-Ups! And even though I felt like I was in the car ALL DAY LONG on Saturday, seeing friends (both new and old) made the driving TOTALLY worth it! But just because I wasn't running, doesn't mean I was going to miss out on the opportunity to hang out with some of my running buddies! 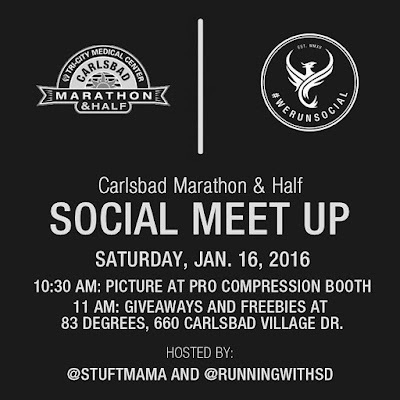 #WeRunSocial hosted a social meet-up at the PRO Compression booth at the expo at 10:30am on Saturday morning. My ladies, Kristin and Smitha, helped organize it so I knew I MUST make my way over to say HEY! Carlsbad?! More like CARLS-GOOD! 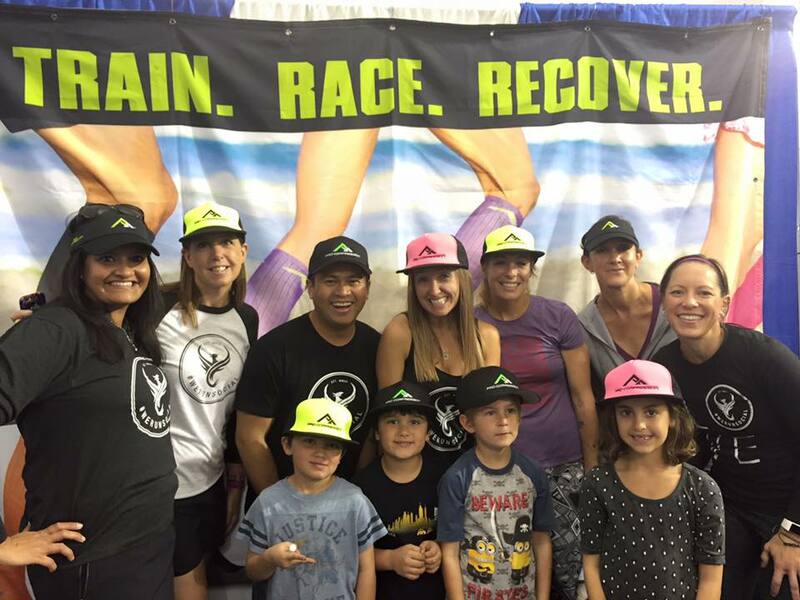 Some of the crew near the PRO Compression booth! 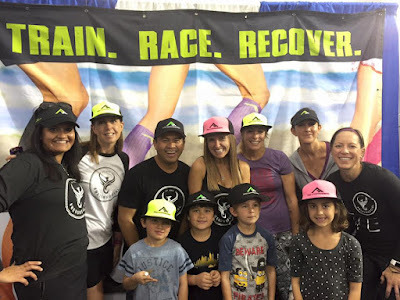 Not only did I get to chat with friends, there were TONS of giveaways and I was even able to pick up one of the pink PRO trucker hats that I had been eye-ballin' for a while (I have the fluorescent green and LOVE it, but "needed" the pink too). After the group picture at the PRO Booth, the crew was moving over to a restaurant for snacks, selfies and more prizes. I would have LOVED to join, but I had another meet-up to attend! The winners with their head gear! Now, if you've been around CarleeMcDot.Com for a while, then you know runDisney races are my jam. The Disneyland Half Marathon in 2012 was my first half and I guess you can say it helped to spark my love for running. I absolutely love the runDisney races - not because I get a great time on the clock (far from it), but because I have a great time on the course. The friends, costumes, entertainment, magic, etc is hard to top. The one main drawback of runDisney races is the GIGANTOR price tag associated with them. To be able to run other races, we have cut back on our runDisney calendar. 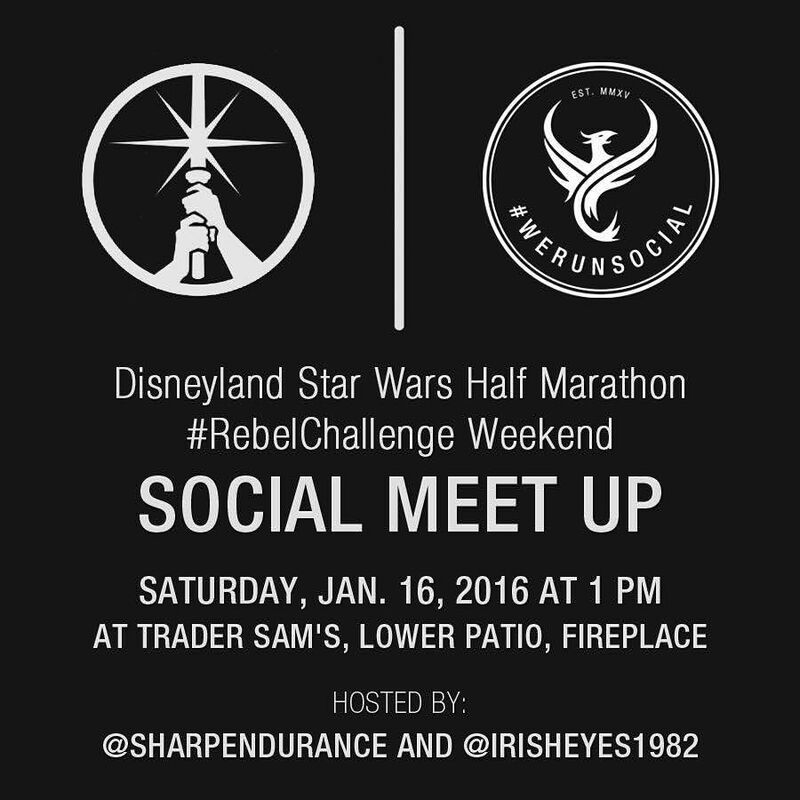 This past weekend was another race that we had to opt out of running, the Star Wars Half Marathon Weekend. 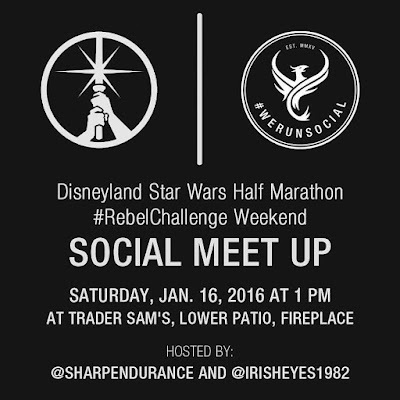 Linzie and Dani were hosting the #RebelTweetUp so I couldn't miss it! 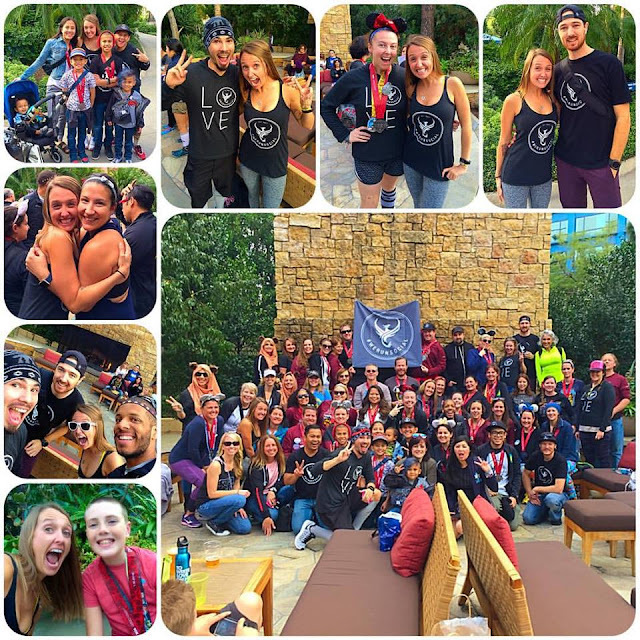 I was there last year and knew this year's meet-up would be bigger and better than ever! Once I left the Carlsbad Meet-Up, I got in the car and drove north to Anaheim (thanks to the lovely Saturday SoCal traffic a drive that should have taken 45 minutes was over an hour and a half). I parked in Downtown Disney (yay for free 2 hour parking) and made my way over to Trader Sam's. And you know the #WeRunSocial crew has gotta #KeepItTight whoever we roll! 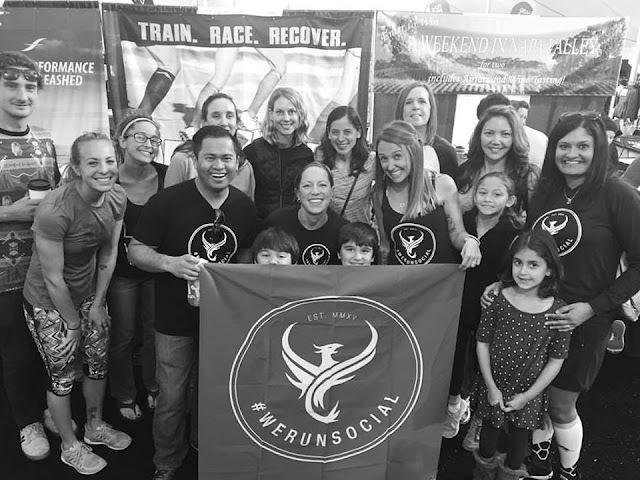 Just wanted to say a HUGE THANKS to everyone who popped on by, said hello, took a picture or had the intention of stopping by ;) #WeRunSocial is growing because of YOU and we are forever grateful! I mean, having a crew to encourage one another based around a common love of running?! PURE PERFECTION! 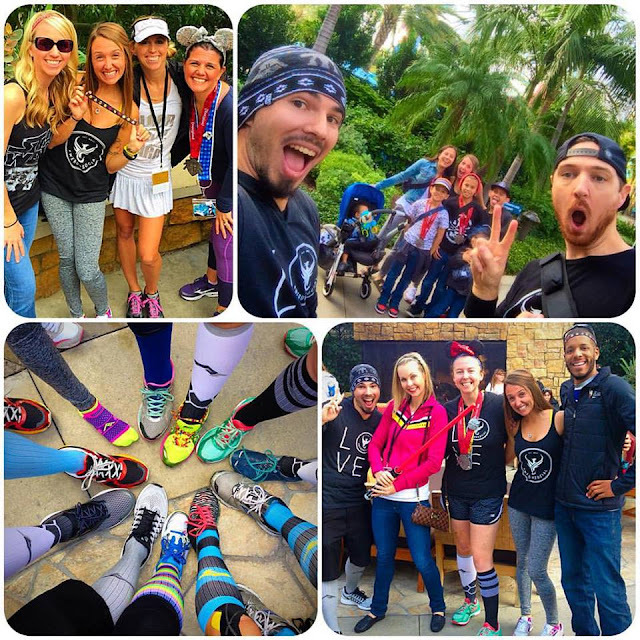 Last week, #WeRunSocial hit 30,000+ tags on Instagram, how AWESOME is that?! 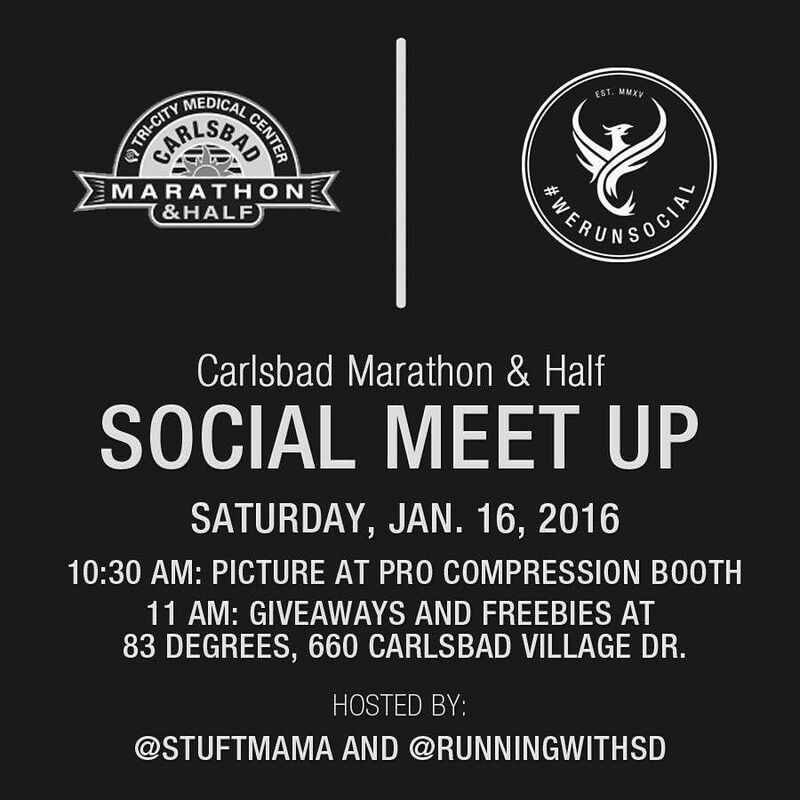 Do you ever attend meet-ups for races you aren't running? Very cool. I hope there will be a meetup for Big Sur! Had so much fun at the Star Wars Meet Up and looking forward to Princess Half and many more!